Every business owner knows that you must define your target customer. These are the customers that will appreciate, benefit, and even more important, utilize the products or services your business has to offer. Therefore, the better understanding you have of your target customer, the bigger and quicker your business will grow. However, what if you are a new business and you’re struggling to define your target market? Or, maybe you’ve been at this business development for a while, you wonder if maybe you haven’t quite got the right audience targeted. The first thing that many start-ups do wrong is set their targeted audience sights too wide. They overestimate the size of their market size. And too often, there may not even be a market for their product or service. Determine what problem your product or service is the answer to is the first step in determining your targeted audience. Google has a keyword tool that can give you an idea of telling you the number of people that search for words which are related to your business. Review who has purchased your product or service already. By setting up a beta product or test phase, you will get valuable insights on who your potential audience is and how they spend their money. Have you overestimated your target audience? We’d all like to assume that EVERYONE needs or wants our product or service, but that just isn’t realistic. Instead of assuming this, reach out to clusters of potential customers so that you can get a better idea of your audience, then you can narrow your marketing moves accordingly. This can be done by conducting surveys and man-on-the-street interviews. Or, even organize a few small focus groups. While you’re trying to get a better understanding of your targeted audience, which can be challenging and expensive, use feedback thoroughly. A social network is an excellent way to get feedback for free from the people within your extended network. Don’t assume that your personal experience and knowledge is the same as that of your targeted market. Talk to people that are in your targeted audience and find out what they need and want. 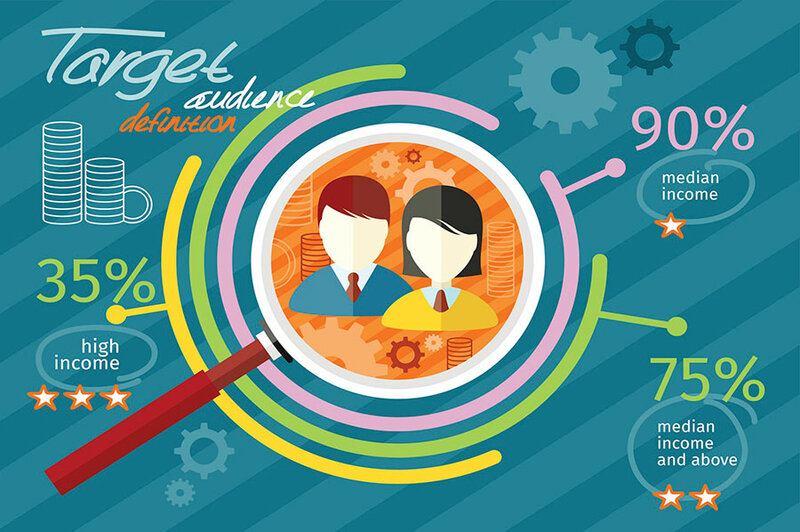 By evaluating the marketing strategy of your competition, you can define your target audience. You don’t want to copy it step-by-step, of course, but put your spin on it so that it stands out.